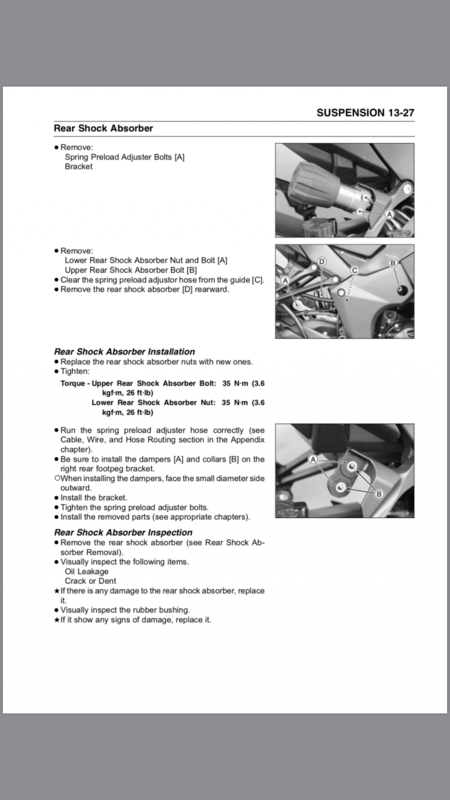 Hi All, can anyone give advice on how to remove the rear shock? What's the procedure for accessing the front mounting bolt? On the older models you accessed the front bolt through the hole in the frame on the right hand side, can't see later models being any different but you never know. Thanks maccmike, The 2017 model also has that bolt and a hole in the frame to access it. Is the nut on the other end captive or do I need to reframe the nut from turning?